Some time ago I recall watching GMTV hosted by Fiona Phillips one morning, (yes I know – kill me now). In all her glory sat studio guest Cybill Shepherd looking rather strange, shrouded in a red velvet hood like Little Red Riding Hood. Cybill, “Sorry about the cape, but I didn’t have time to do my hair,” managed to confuse Fiona Phillips by her appearance. Not necessarily a difficult thing to it should be stated. There’s a lot of material out there in the online, televised and printed media showing celebrities not necessarily at their best. Perhaps most famously, Britney Spears is managing to outdo all-comers of late but there are no shortage of contenders. 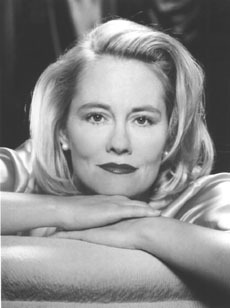 I loved Cybill Shepherd when she was in Moonlighting. It’s great to see her allow the public to see how she really is! I like the fact that she seems so ‘unstarry’. Pretty on-the-ground for an actress with her history in the industry. Oh…and she dated Elvis as well! Yes and she told on Elvis as well! – don’t like that, a no no, my opinion. Thanks Christine. It’s worthwhile staying indoors many days at the moment eh.